The Philips DVT 8010 is packaged with all the superior features which came with the popular DVT 8000 series, but with one significant improvement – the built-in memory has been doubled. The DVT 8010 now features 8 GB of built-in memory. This, combined with a microSD memory card slot supporting up to 32 GB of additional memory means the device provides virtually unlimited recording and storage capacity. The DVT 8010 comes with the LF H9172 360° full radius meeting microphone which enables everyone’s ideas to be captured in excellent audio quality, no matter where they’re seated at the table. The meeting microphone is boundary layer design uses dynamic acoustic pressure which produces excellent sound and recording quality. The audio recorder has a built-in motion sensor which detects when it is placed on a desk or held in the hand. 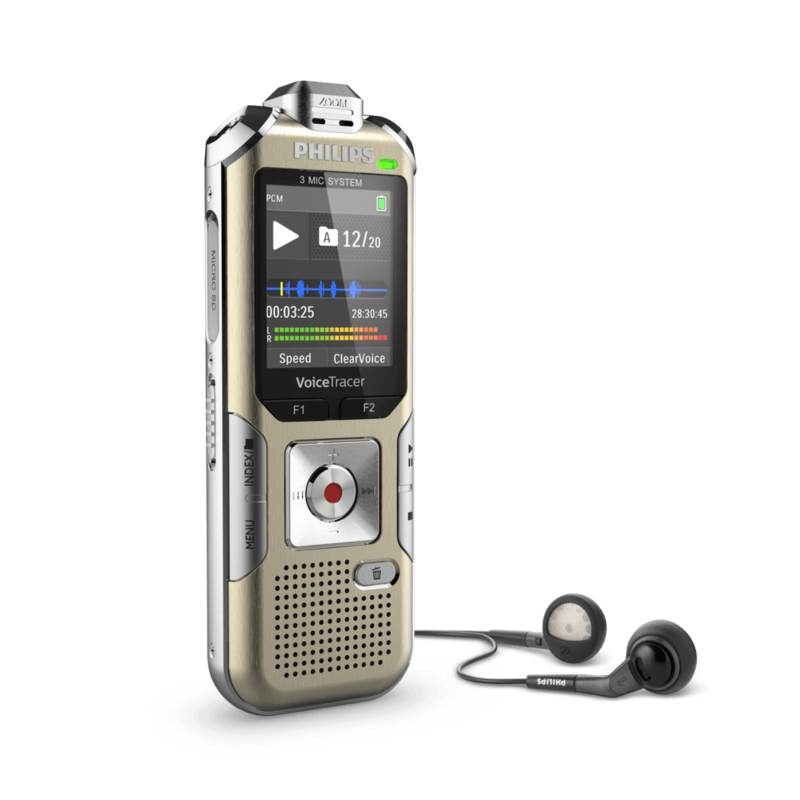 The motion sensor also selects the microphone sensitivity to suit the recording situation. The high-capacity lithium polymer battery can be easily charged through a standard micro USB jack. This guarantees extended battery life for extra-long recording, ensuring that your recorder will always be ready to work when you are. The DVT 8010 includes a wireless remote control which enables convenient placement of the recorder to best meet the needs of the recording environment. 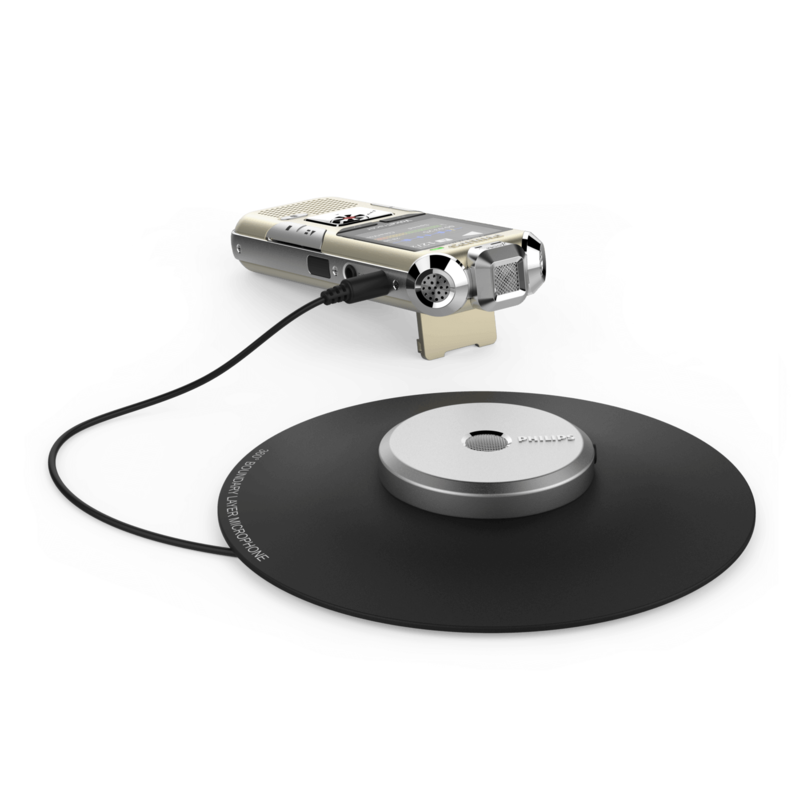 The recorder is automatically displayed as a removable drive once connected to your computer via USB. It can also be used as a convenient way to store, backup and share files. There is no need to install any additional software to use with Windows, Mac OS, and Linux operating systems. The DVT 8010 boasts a robust and economic metal design for extra durability. 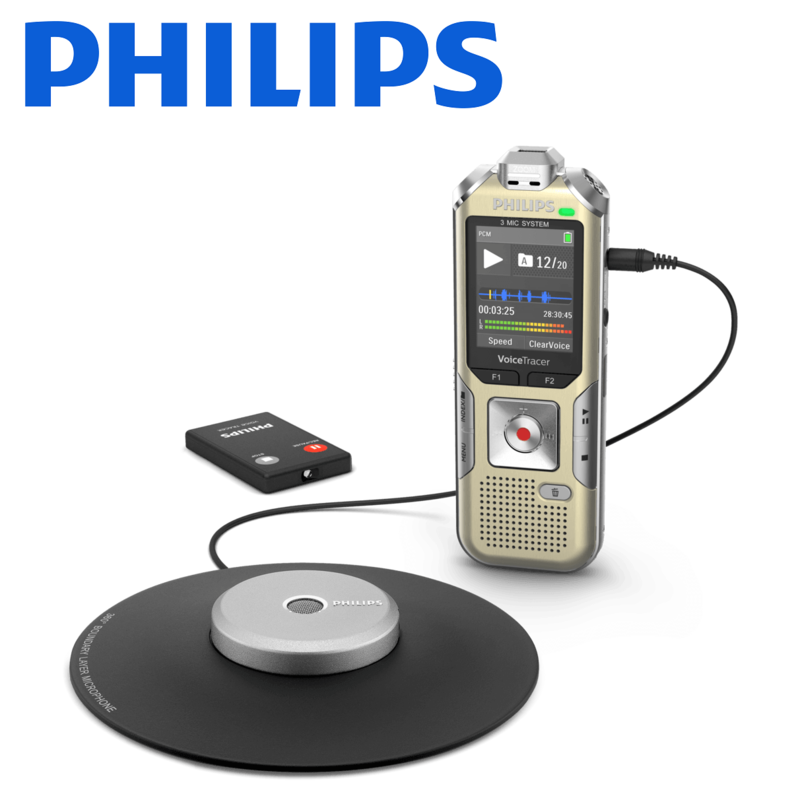 The Philips DVT8010 has 8GB of built-in memory, and comes with the powerful LFH9172 boundary microphone.